After you send out your campaign, you can see who opened your email or newsletter in your reports section. But have you ever wondered where those email openers are located? 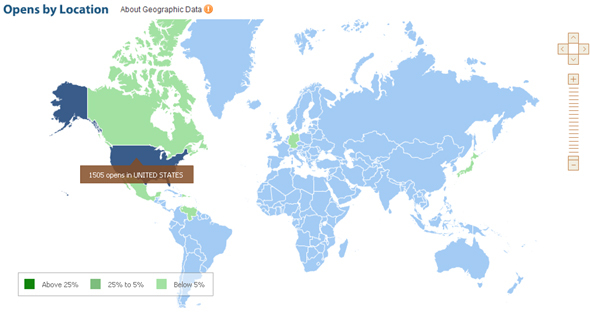 Thanks to our new Opens Map feature, you'll get a visual on where on the planet the people who opened your emails live and work. This new feature can be used for all campaigns sent after April 25th. If you send a campaign on or after that date, all you need to do is go into you reports section to view your Opens Map to get an accurate picture of where your customers are located.